Whether you are a backpacker, digital nomad or just a long term traveler thinking about extending your Thai visa, you will need to do a visa run or visit one of the immigration offices in your area. If you are based in Koh Tao or Koh Phangan you will need to make a trip to Koh Samui and extend your visa at the local immigration office, unless you cannot extend your visa and need to do a visa run to Malaysia. Keep reading if you are looking into information about how to extend your visa at the immigration office in Koh Samui. As from March 2019 it is not possible to extend your Thai Visa via a travel agent. 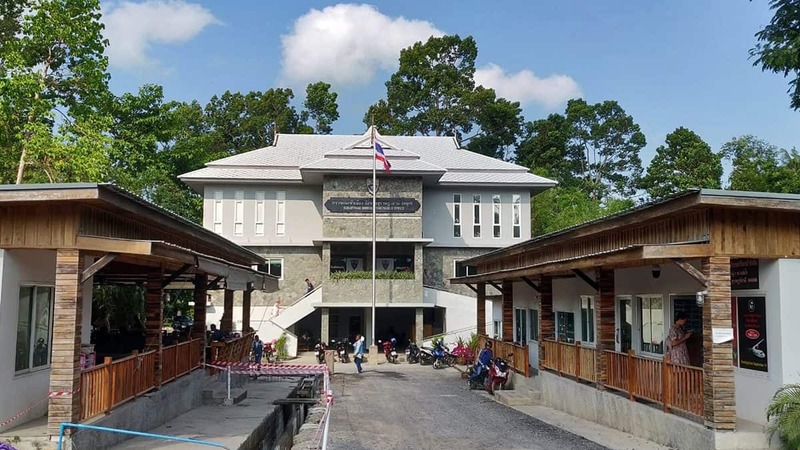 If you are visiting Koh (Island) Tao, Phangan or Samui and want to extend your stay in Thailand you will need to do so in person at the immigration office in Koh Samui. If you are not at Koh Samui already, you will need to take a ferry to get there. You will be probably departing from either Koh Tao or Koh Phangan. There are several ferry companies transporting travelers between those three islands. You will want to get one that gets you to the Nathon Pier in Koh Samui, which is the closest to the immigration office. We used the ferry company Lomprayah. From Koh Tao it leaves around one hour earlier. The ferry back to Koh Phangan leaves Koh Samui (Nathon Pier) at 11:15, 13:30 and 17:30. 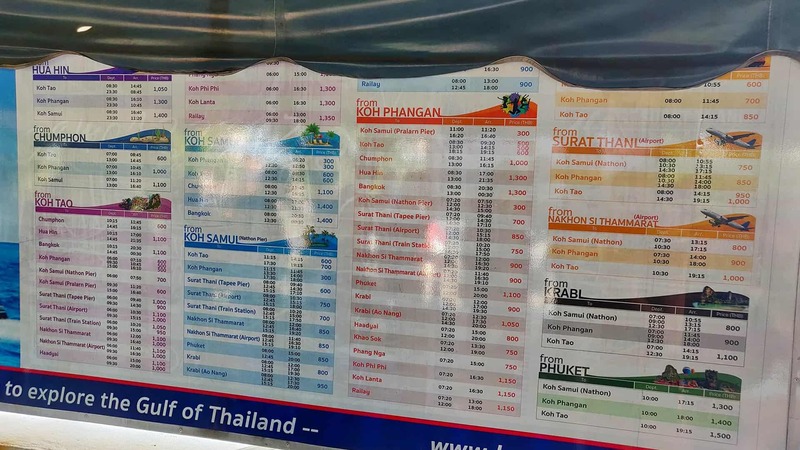 The ferry ticket from Koh Phangan cost 300 thai baht per person for one way. From Koh Tao you will need to pay 700 thai baht. To enlarge the current ferry schedule between Koh Tao, Koh Phangan and Koh Samui click on the image. As soon as you arrive in Koh Samui you have two options on how to get to the immigration office. We went with the second option and rented a scooter for one and a half days (300 bath) at a rental place called Sccoter Rental. Be aware that you need to leave a deposit in the form of your ID as well as 2.000 bath in cash if you choose to rent a scooter. When driving a scooter in Koh Samui make sure you wear a helmet. The police on this island are more strict than in Koh Tao and Koh Phangan. Wearing a helmet will save you a fine of 500 bath. 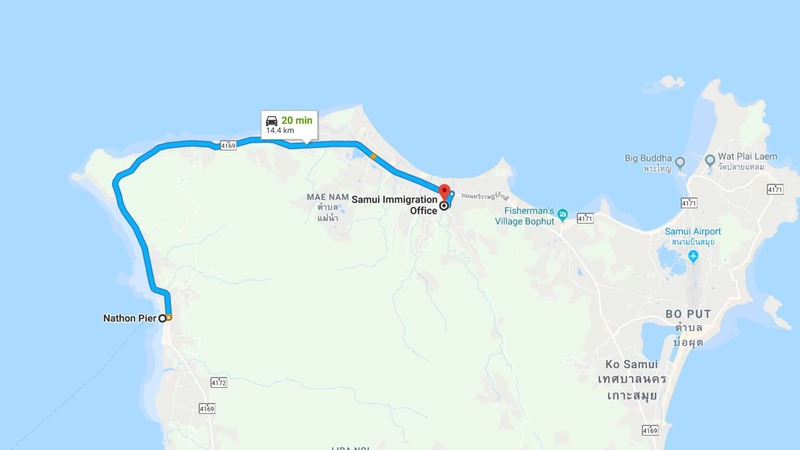 To get to the immigration office in Samui you will need to drive north for about 20 minutes. It’s roughly the same distance as from the Koh Samui Airport. If you want to save some money, you can also book a ferry ticket with the public ferry company. I would advice to book it directly on the port. 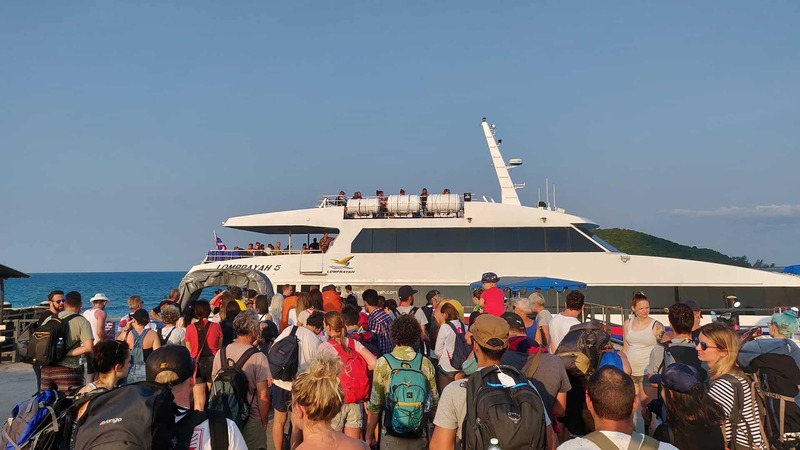 Be aware however that the ferry will bring you to the Lipa Noir Pier in Koh Samui which is further south from the Nathon Pier. The price is 150 bath one way which is half the price compared to Lomprayah. You can lookup their schedule here. Upon arrival, you can take passport pictures of you (in case you don’t have any), make a copy of your passport and fill out the visa extension form. As a next step, you will submit your documents in the immigration and get wait until your extension gets approved. We waited for about one hour to get our passport back. While waiting for your Thai visa extension, you can get some breakfast and drinks in the small restaurant in front of the immigration office. The trip to Koh Samui to extend your Thai visa will take you at least half a day. If you have not been in Koh Samui before, I suggest you stay over for at least one night and explore the island, unless you are in a rush. Apart from the busy coast road, driving in Koh Samui’s jungle is an adventure you will never forget. We stayed at Samui Zenity, which is a small but cosy hotel with pool and food options close to the immigration office in Koh Samui. Do you have any recommendation for other travelers who aim to extend their Thai visa at the immigration office in Koh Samui? Share your tips in the comments below. You are so right – driving in the jungle in Koh Samui is amazing!